For the past two years we have been commemorating the 500th anniversary of the Reformation with the theme Liberated by God’s Grace, along with the sub-themes: Salvation—Not for Sale, Human Beings—Not for Sale, and Creation—Not for Sale. When we acknowledge that we are Liberated by God’s Grace we give up all fear of our own salvation. We accept that we are made righteous because of Christ’s action not because of our own actions. For people in our society who are constantly trying to justify themselves, to prove themselves by what they do, and what they own, and what they wear, and how they look—this is good news indeed! For people who are struggling with injustice, for people who are fearful of the world around them, this is good news indeed. God loves you for who and how you are. We are free to get off the hamster wheel of trying to achieve our own justification. This is a very heavy burden to lay down. If we are Liberated by God’s Grace there are burdens we take on as well. We can no longer live as isolated self-made people. We have to acknowledge the primary role of God in our lives and our interconnection with the rest of God’s family and indeed with creation itself. We can’t just take care of ourselves anymore, we need to act out God’s love and care. We have to take all those “not for sales” seriously—salvation, human beings and creation are not for sale. It makes a difference about how we spend our time, how we use our money, how we consider not just ourselves but also our neighbour, how we feel compelled to speak out for justice and peace especially at times we would rather stay silent. This is why National Convention adopted a statement to the Muslim community in Canada. We need to speak out about the increasing incidents of hate crimes in Canada. This is why we adopted interfaith guidelines, to help us get to know people of other faiths that live in our communities. It’s also why we continue to work to address affordable housing and homelessness and responsible resource extraction. Why we are committed to reconciliation with Indigenous peoples in Canada. Why we pray for peace in the Holy Land. Why we care about the justice and corrections systems in Canada. Why we speak out against gender-based violence and human trafficking. This is why you plant trees and raise money and sponsor refugees and send children to school through the ELCIC Reformation Challenge. 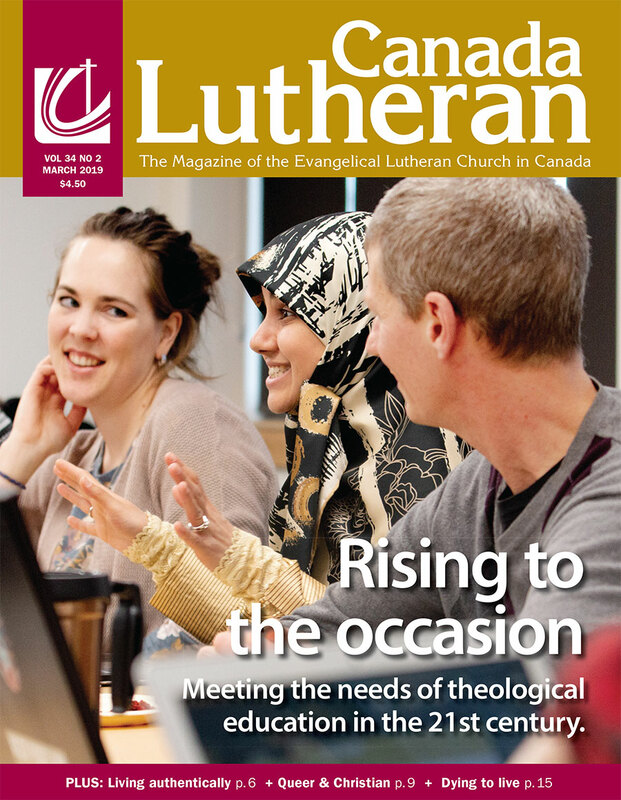 It’s why National Convention received offerings totalling almost $13,000 to support the work of Canadian Lutheran World Relief, the Reformation Challenge, the work of the National Church and a local food bank. This is why we gathered for a National Commemoration of the Reformation anniversary with our ecumenical partners. We realize we have the opportunity to deepen our ecumenical relationships as we reflect together on how we have come to be separate church bodies and how God is calling us to healing and to reconciliation. We remember together that there is just one body of Christ, and recommit to working towards making that a living reality. These are all ways we live out lives that have been Liberated by God’s Grace. We are compelled by our love of God to work for the liberation of others. Thanks to all of you for your partnership in this mission.